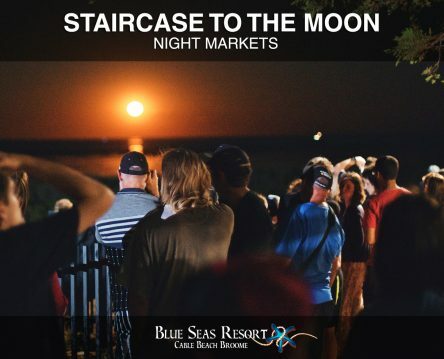 The Staircase to the Moon is a natural phenomenon observed in Broome Western Australia between April and October only. It is caused by the rising of a full moon reflecting on the exposed mudflats at extremely low tide creating a beautiful optical illusion of a staircase reaching up to the moon. The Staircase Markets are held at the Town Beach Reserve on Robinson Street over the two nights of the full moon April – October. 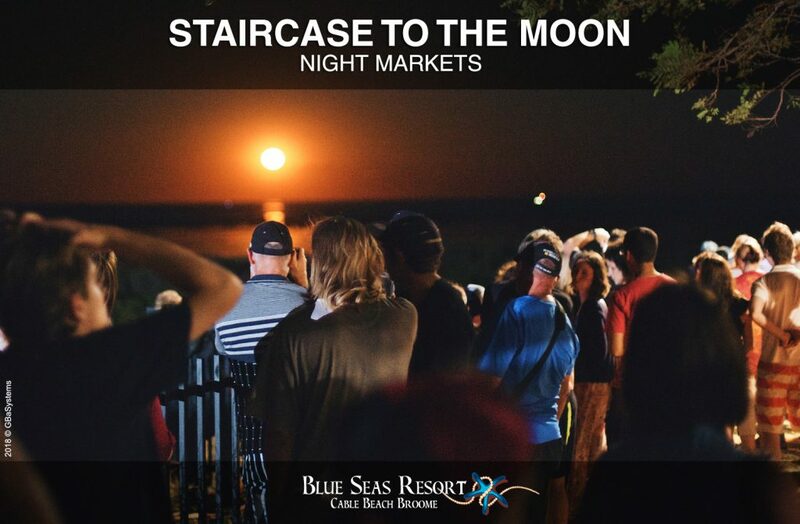 Wander around the colourful local stalls under the stars, sample the tastes of Broome cuisine, listen to local live music and take in the spectacular Staircase to the Moon.